I have been trying to get B to sleep un-swaddled. It really hasn’t been going very well. She was sleeping through the night but is back to waking every two hours. After several nights of this on the back end of her not sleeping well due to sickness, I’m exhausted. L has been waking four to six times a night, which isn’t making things any easier. That’s not counting the times she leaves her room when we’re trying to get her to sleep in the first place. I’ve been working on my Christmas quilt in dribs and drabs. I’ve finished the applique for the main section, except for edge stitching the red trees ans scallops. Edge stitching is definitely the hardest part, however, and there is a lot of red on this quilt. Next up is creating the border for the main section, then doing the applique for the top and bottom. This entry was posted in Crafts, My life, Quilting on December 30, 2014 by admin. It’ll be well past Christmas by the time I finish it. Yesterday, my birthday, was very rough. We had basically no sleep the night before. I have only called on J in the middle of the night a very few times since L’s birth – probably less than 5, if even that many times. The night before last was one of those times. I finally gave him L at about 4 am. We had to get up a few hours later for a morning doctor’s appointment with her. The verdict was “just” a cold, but that afternoon she projectile vomited and spiked a fever of 101. Thank God Tylenol was very effective and she felt much better today. It was kind of a horrible birthday, but it is just so great that she’s feeling better today. There is really nothing worse than worrying about your sick child. It’s exhausting and anxiety-inducing. Poor little munchkin. She is still congested. I can’t wait for our family to be healthy again. 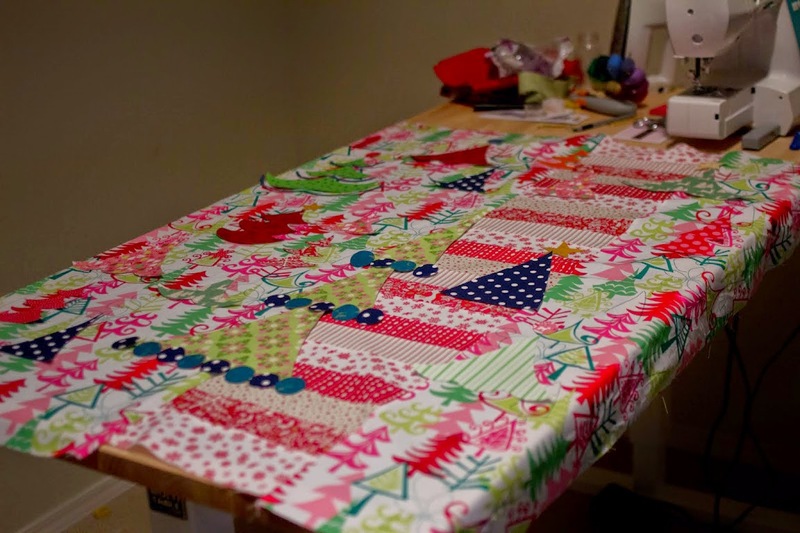 This entry was posted in Briony, Crafts, Motherhood, Quilting on December 25, 2014 by admin. What a night. B took a bit of a turn for the worse yesterday – nothing scary, just a very stuffy nose that made her uncomfortable and made it hard for her to sleep or eat. We were up quite a few times last night, and she was cranky much of today because she really didn’t nap. Then she suddenly got very upset tonight and basically started screaming in pain. I’m 90% sure it was gas because she passed gas and pooped very green poop (which is a sign of gas in babies). I’m not sure what triggered it. I was able to calm her down within a 10 or 15 minutes by just bouncing her in front of the running shower. I remembered that calmed L a few times when she was really inconsolable. When she’s upset like that, I just feel this controlled panic. J is very good with the kids, and I feel he’s up to handling basically anything with L that I am; sometimes I’m better at dealing with her, and other times he is. He really had to step up when I was pregnant, and they developed a very close bond. 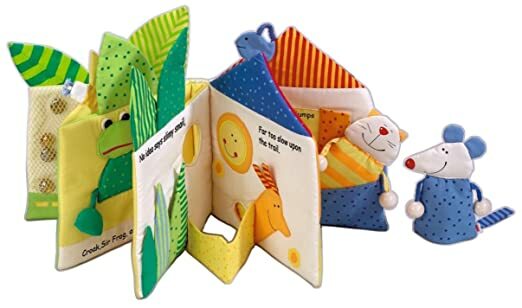 With B, though, since I’m the one with her most of the time, and because I’m nursing exclusively, I am much better at soothing her when she is upset, so I know that if I can’t calm her, handing her to J is not going to help. And when your child is literally crying out in pain, you just feel this desperation to fix it. Luckily, this time, I was able to. I took maybe an hour to get her to sleep, not bad, but the actual screaming part was short-lived, thankfully. But when it’s going on, I just don’t know how long it’s going to last and whether it’s something more serious and we need to be calling the doctor and thinking about a trip to an ER. These things always happen at night, of course. The whole thing just makes me kind of tired and sad. We’ve been dealing with somebody in the house being significantly sick for about two and a half weeks now, and it’s just getting old. We ended up cancelling our planned vacation in Oregon, mostly because B was sick, but also because of predicted 90% chance of rain every day of the trip, high surf warnings, and flood warnings. Hopefully we’ll go in a few weeks. I bought myself a little birthday present, which I love. L is trying to commandeer it, but I am fighting back. It’s the Vera Bradley weekender bag. I have been coveting a Vera Bradley bag for years, and now I am the proud possessor of one. A friend of mine who is turning 40 next year is doing 39 steps to 40 – basically 39 things he wants to do before he’s 40. I am turning 35, so I have more time. I was thinking that perhaps I should make my own list of things I’d like to accomplish in the next five years. It occurred to me today that by 40, I will be past my physical peak, and no matter how hard I train I won’t be able to run as fast as I could now with the same amount of training. It’s a depressing thought, and a clear sign that yes, my body is ageing and deteriorating. So my list would definitely have some running goals. Anyway, it’s something I’m thinking about. This entry was posted in Briony, Motherhood, My life on December 23, 2014 by admin. Baby B woke up with a cold this morning – or more accurately, stayed up last night with a cold. I have been holding her or nursing her literally all day except to take a shower. (J has been watching L.) omg. I’m starting to lose my mind a little. There are certainly worse things than watching Netflix while you cuddle and nurse your sick baby, but I cannot handle another episode of chopped. I’ve also been playing white noise and her favorite song, Do It Again by Royksopp, on repeat at high volume, as it soothes her. Arghh. This entry was posted in Briony, Motherhood on December 20, 2014 by admin. 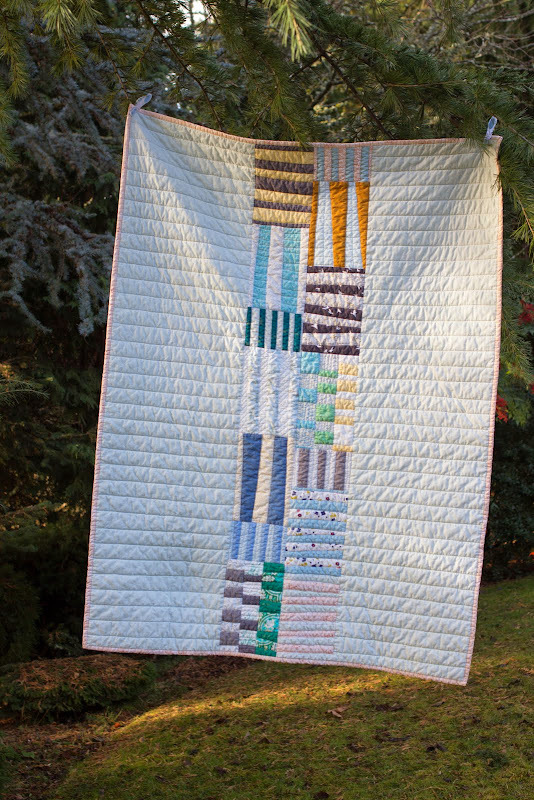 This quilt is based on the totem pattern by Carolyn Friedlander. I couldn’t find any place to buy a digital version of the pattern online, so I just eyeballed it. 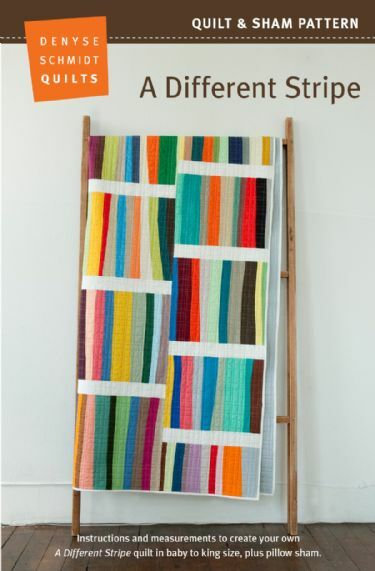 The quilt is pretty closely copied from a baby quilt Friedlander made. I don’t have a particularly robust stash, or I would have matched it even more closely than I did. I think Friedlander’s quilt called for paper piecing. I did not do this. I just roughly measured the size of the pieces I want, cut, sewed, and then trimmed each of the blocks to size. 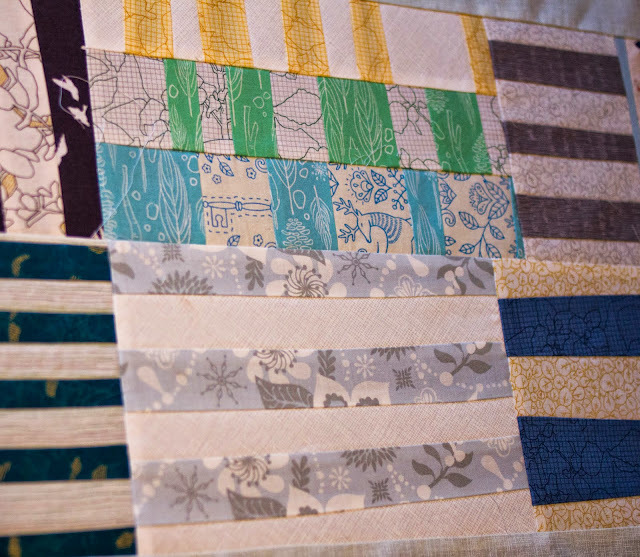 For the front, I used most of the fabrics in a Carolyn Friedlander Botanics fat quarter bundle. I also used a few blue solids, Nature Walk in Twilight and Grass from Wee Wander by Sarah Jane, Tenderness in Peach from Littlest by AGF Studio, Joie de Claire from Chic Flora by AGF Studio, Historic Tile in Teal from Notting Hill by Joel Dewberry, and Moda Solstice Constellation Icicle by Kate Spain. The solid fabric is Quilter’s Linen in Mist by Robert Kaufman. The binding is Tenderness in Peach from Littlest by AGF Studio. 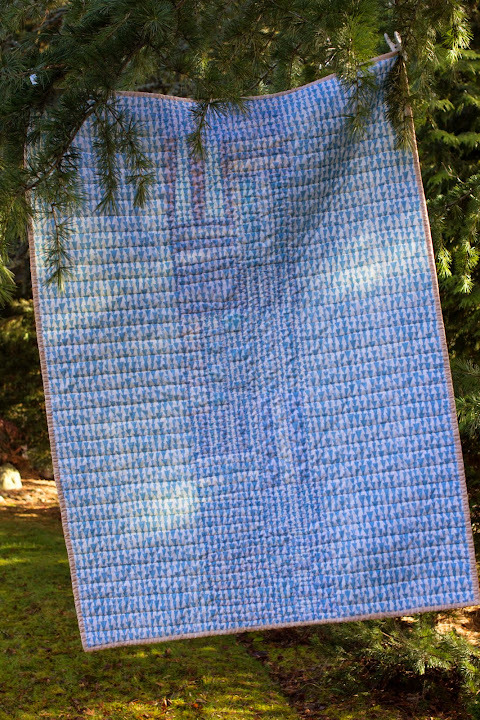 The back is a single fabric, Pilvi in Sky from Mormor by Lotta Jansdotter. 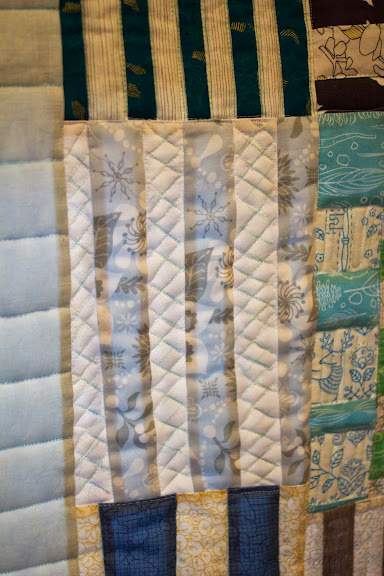 I used Aurifil 50 weight thread in white throughout – for piecing, quilting, and binding. The binding is a double fold binding on the cross-wise grain (I think) hand-sewn to the back. 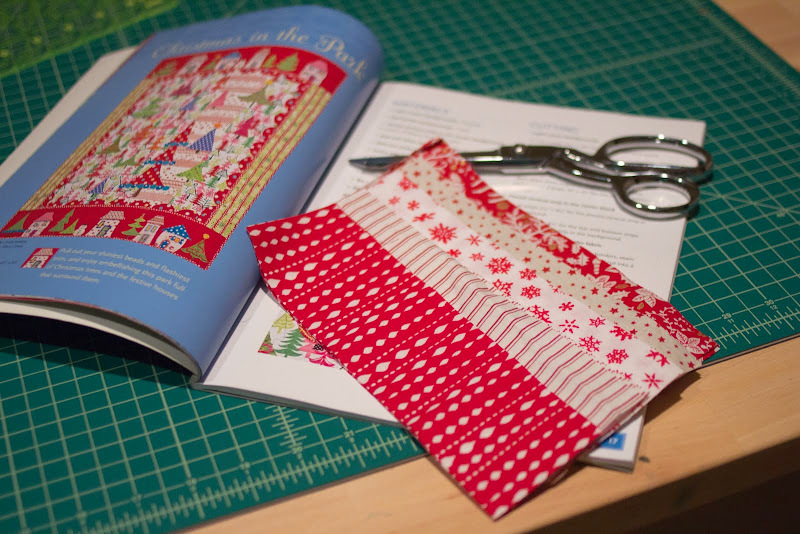 As usual, I botched sewing the ends of the binding together. I seem to screw this up every time, but I always finagle it so it’s not super obvious. I really need to figure out how to do that step. I used a walking foot to quilt horizontal lines on the solid fabric an inch and a half apart. I marked them in advance and just followed the markings. For the middle section, I matched Friedlander’s quilting as much as possible. 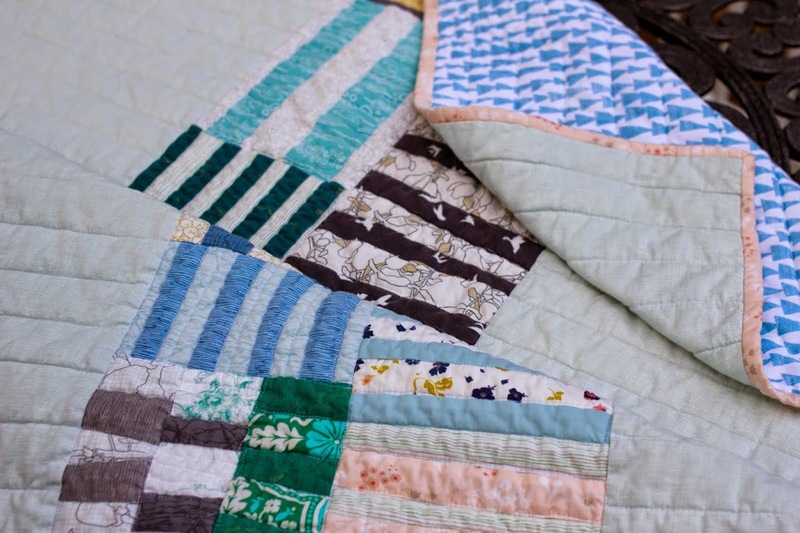 It was a bit hard to see what type of quilting she did in places, however, so it’s not an exact match by any means. I start out using the walking foot. 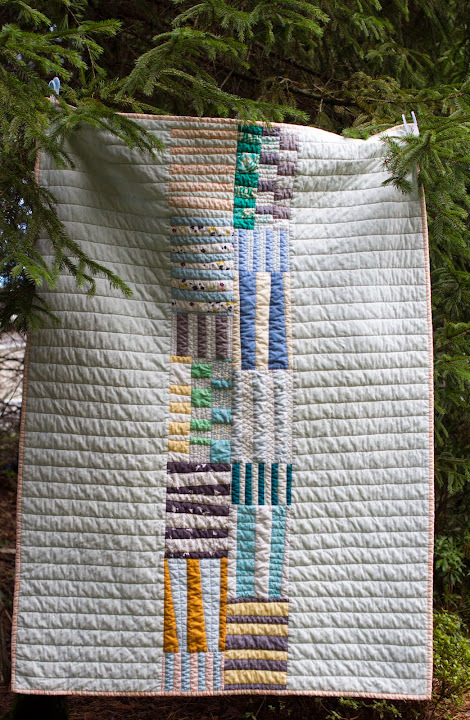 This result in a very neat-looking quilting. Since all the lines were straight, I could have done this all the way through, but much of the quilting was only an inch before a 90 degree turn was required, and this was very slow and annoying. I switched to a darning foot and free-motion quilted the balance. Overall, this went quite well, though as usual, I did make a couple of obvious errors which I did not bother to rip out. I used wool batting again. It’s definitely harder to work with due to the extra loft, but I again loved the warm light fluffy feeling of the quilt at the end. I hand-wrote a label and sewed it on. Hopefully it will hold up in the laundry. All in all, I really enjoyed making this quilt. 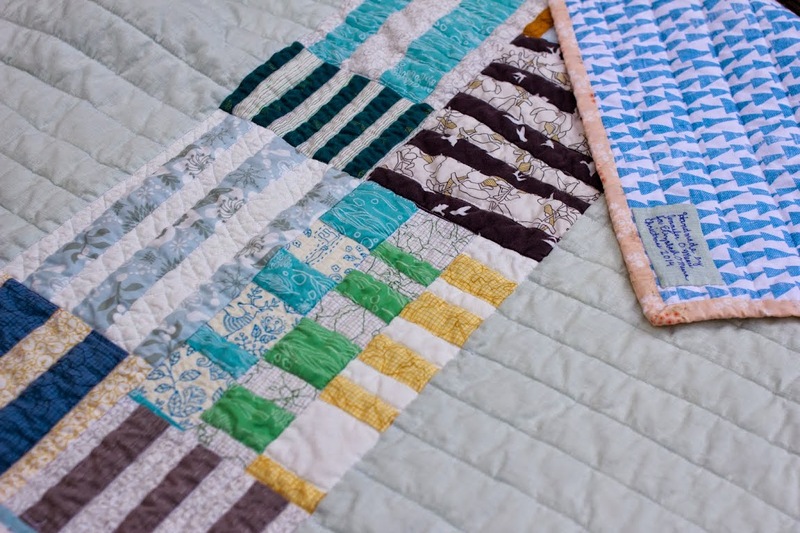 I really enjoyed the “carefree” piecing style that not having precise rectangles or triangles allowed. Since I had a deadline, I went quickly and did not sweat minor errors and issues. Now, on to the next! This entry was posted in Crafts, Quilting on December 19, 2014 by admin. I finished my Christmas present quilt today. Hooray! It’s definitely not perfect, but then, of the dozens of handmade projects I’ve done, they never, ever are. Tomorrow, hopefully I’ll get a cry-free, rain-free spell to photograph it. 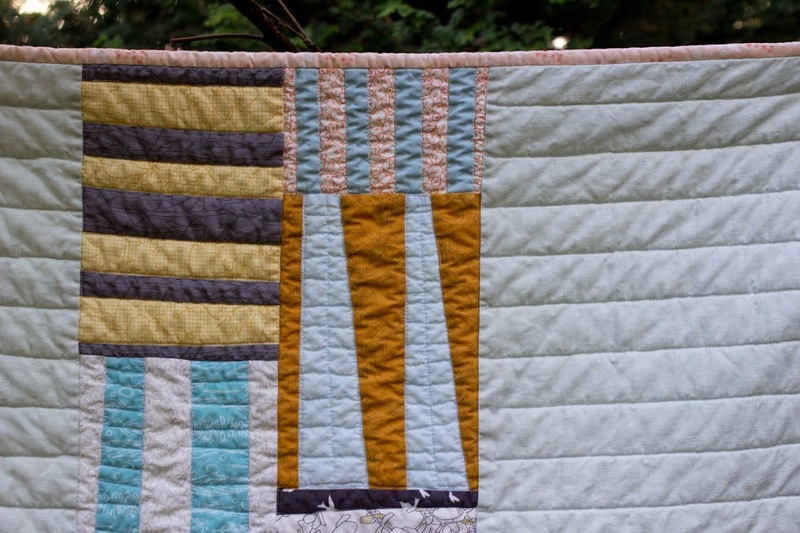 Like the quilt that inspired it, I quilted horizontal lines on the solid fabric with a walking foot about an inch and a half apart. 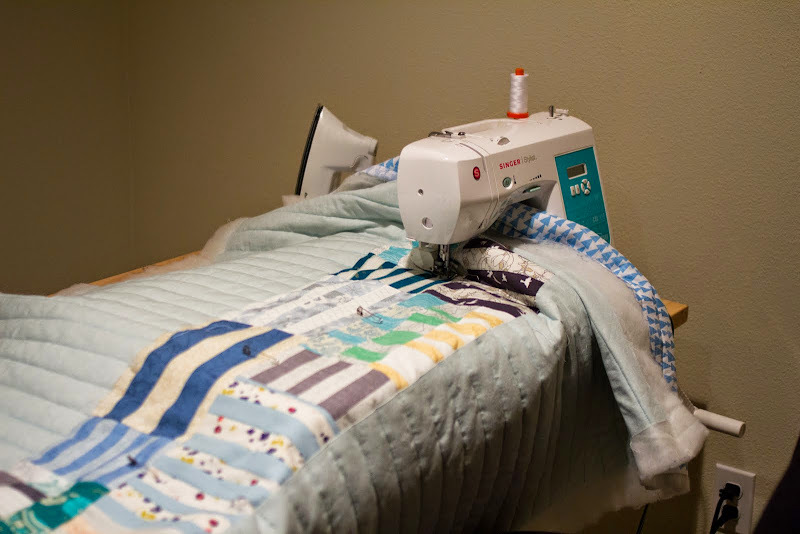 I initially tried to use the walking foot on the pieced columns, but it was way too hard turning the quilt over and over, so I switched to a darning foot and free-motion quilted it. 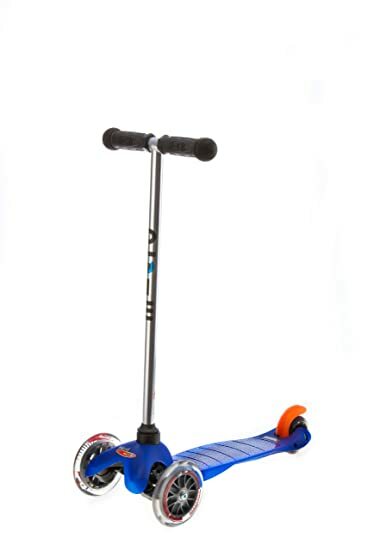 Micro mini scooter Blue, naturally, since all things in L’s life must be blue. And Highway Maintenance Vehicles L is a huge fan of construction sites and construction vehicles, and she also loves her set of mini toy cars and trucks. She plays with them a few times a day, every day. 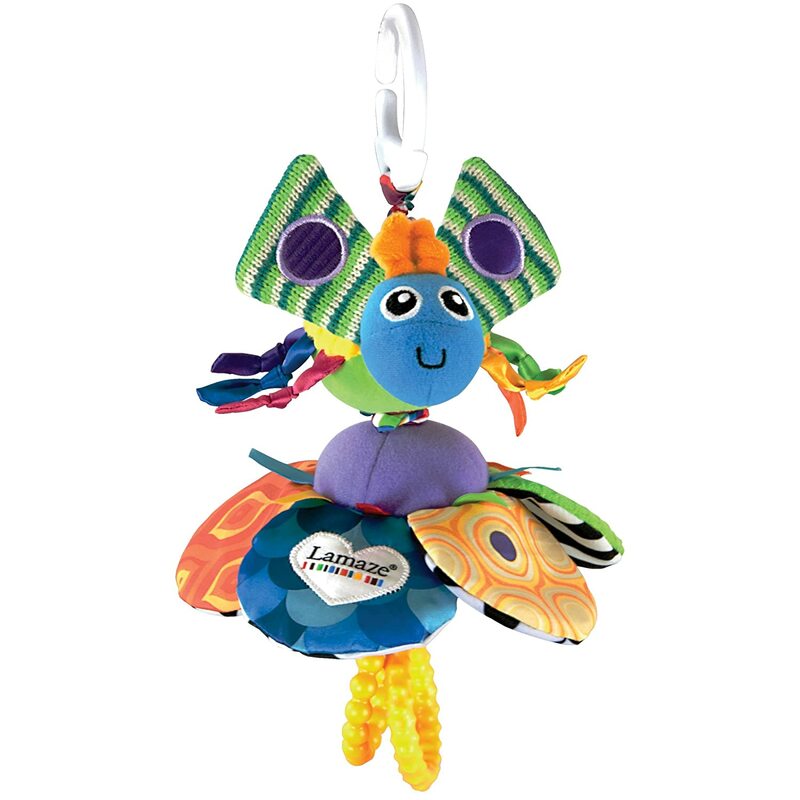 On a side note, I give L a “special toy” every day when I’m nursing B. This is typically something very small, such as a marble. 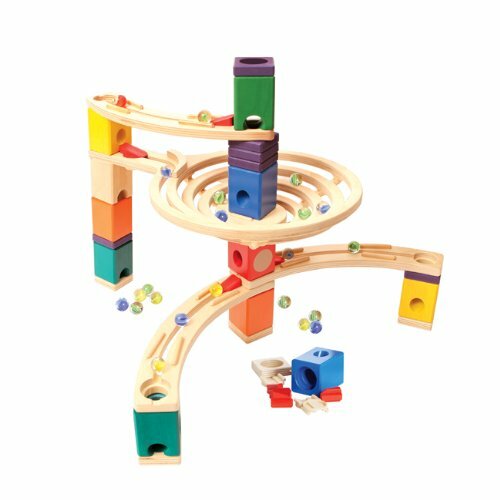 Well, I bought this marble run for her. (Note that is was available prime for $55 when I got it; Amazon must be out of stock at the moment as the price has gone way up.) I was hesitant as to whether to buy it was there were cheaper plastic sets with more pieces. However, I think it was a great buy. I’ve been dispensing it to her one piece at a time over the last week or so, and we’ve been having a blast playing with it and learning how all the blocks work. She’s actually very good at putting the pieces together. We’ll let L help B unwrap. It should be fun. B and I aren’t exchanging presents as we’re part of the family gift exchange round robin. We both have birthdays in December, so we just get each other birthday presents and call it a day. This entry was posted in Briony, Crafts, Isla, My life, Quilting on December 18, 2014 by admin. 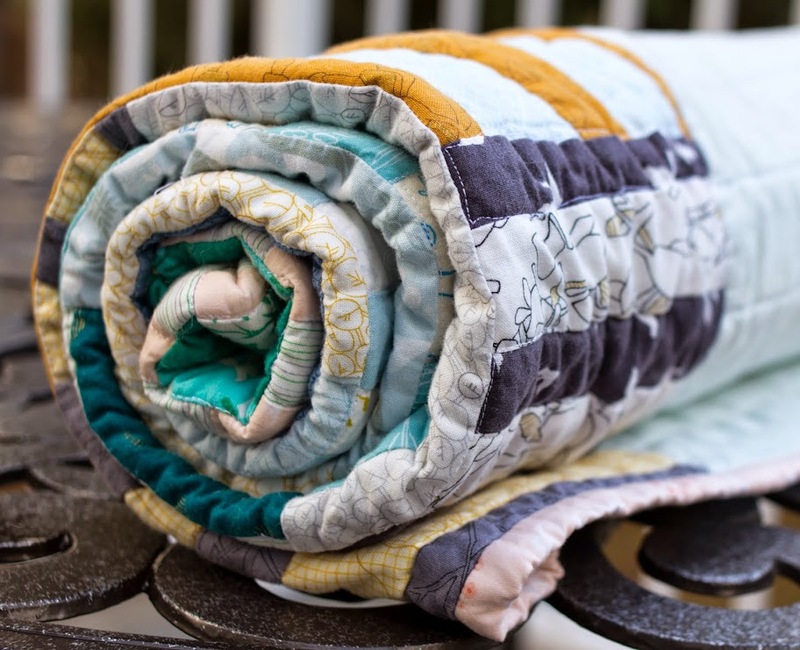 So many beautiful quilts, so little time to copy them! The bright colors are just stunning. I would love to have this in queen size on our bed or our guest room bed. RPQ’s version is I think only 28 x 28, but I think it would look great scaled (as opposed to adding more small blocks). Regardless, I love it – but it looks like a lot of work. 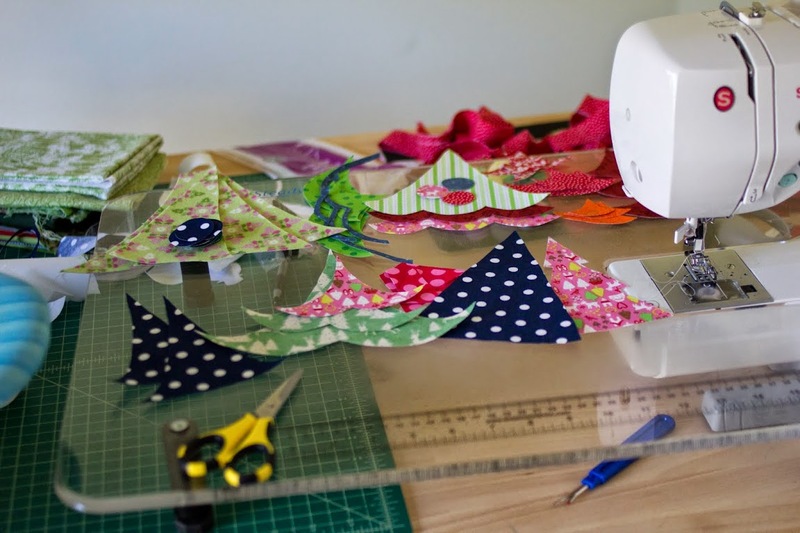 RPQ provides a paper piecing pattern, though there are other ways to do it. 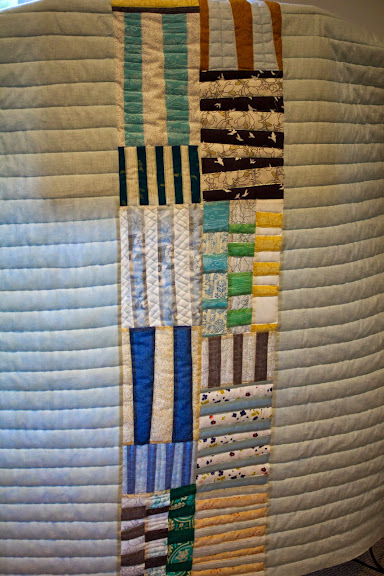 I also really like this facing east quilt by Carolyn Friedlander. It reminds me of the Japanese symbol for East, which looks like the sun rising behind a tree. (The kanji for Tokyo are “east capital,” so it’s a useful character to know. The kanji for capital is a lantern, since historically capital cities had lanterns at their gates. Many cities in Japan have this kanji in their names, since many are former capitals, like Kyoto, for example. Tokyo: From the left kanji, the square with the line is the sun, and the vertical line is the trunk, and the diagonal lines at the bottom are roots, and the horizontal line at the top represents branches. 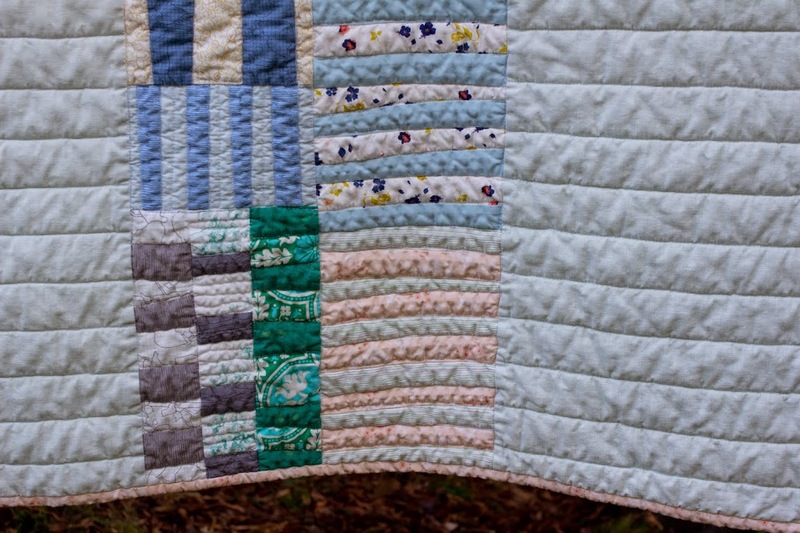 Anyway, here’s a picture of part of the quilt from Friedlander’s webpage. Go to her site for more photos. She’s come out with a book, which I have on hold at the library. Her book is titled Savor Each Stitch which is not really happening at this point in my life. (I’m nursing Briony now as I type.) What I actually love about sewing as compared to knitting is turning my sewing machine up to max speed, putting the pedal to the metal, and listening to that lovely hum as it easily stitches through miles of fabric. So nice! 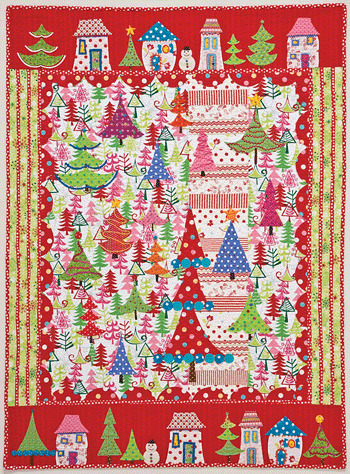 This entry was posted in Crafts, Quilting on December 17, 2014 by admin.